After yesterday announcing free iPad engraving for the holidays, Apple has updated their Apple Store app with some very interesting and helpful features for those looking to shop straight from their iOS device. Add engraving and gift wrapping to select purchases through Apple Online Store. Reserve products, like that slick new MacBook Air or the “magical” iPad for pickup at an Apple Retail Store. Add Apple Retail Store reservations directly to iCal. The interesting feature of the app update, first rumored to be on Apple’s agenda by TUAW yesterday, is a “check-in” option which allows consumers to check in for reservations and request help from within the store. Note however, that iOS 4 is required if you desire to use this feature. Some nice updates to a very useful app. The check-in feature is the most intriguing aspect of the entire update. 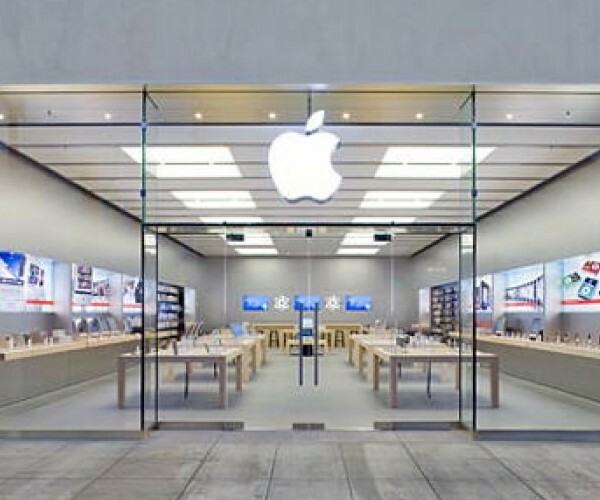 Allowing iOS 4 device users to receive direct, one-on-one help from Apple Retail Store employees, further enhances the already grand consumer experience one finds in an Apple Store. Moreover, the service no doubt is geared towards helping those customers already willing to buy the latest Apple products running iOS 4, and, for lack of a better term, giving them the VIP treatment.